Routes Healthcare are proud of their training staff, all of our staff undertake an extensive training programme before they can start work. Our training follows a blended learning approach, consisting of practical and online courses. 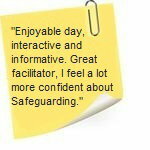 Unlike other care providers, who only offer online training, we value the practical side of training and insist our new carers attend practical assessment. 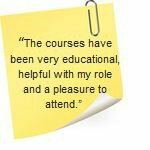 This is so we can ensure all of our staff are trained to the highest standard you can expect from Routes Healthcare. As well as initial training before staff start work, we also have a number of online courses staff must complete within 12 weeks of starting work, as well as a range of ad-hoc courses specific to clients’ needs and requirements. Our training centre is run by Reg Storey, a fully qualified trainer with 25+ years in social care who is responsible for managing and delivering of all of the training programmes that we offer. 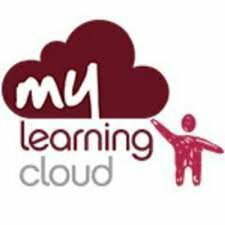 Our online portal, My Learning Cloud, ensures all training is in one place for staff to complete in the comfort of their own home. Through this portal we also have a programme in place to monitor staff validation to ensure all staff are up to date with their training certificates. We also constantly review and update our training to ensure we are relevant and comply with all necessary legislation. Introduced from April 2016, Revalidation is the new process that all nurses in the UK need to follow to maintain their registration with the NMC. Revalidation is straightforward and helps nurse demonstrate that they practise safely and effectively. Revalidation is required every 3 years, to help our Nurses with this we carry out regular, supervised clinical assesments providing relevant feedback from these sessions and also fully support our Nurses throughout this triennial process. Download the full Revalidation guidance document. 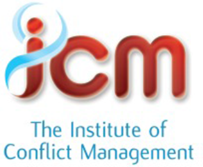 We are also a member of the Institue of Conflict Management, a not for profit, independent organisation incorporated to develop strategies and standards to help reduce, and where possible eliminate, the risk associated with incidents of challenging, aggressive and violent behaviours. We follow the practices recommend by ICM as part of our training programmes. Pay for your Uniform and DBS online through PayPal.